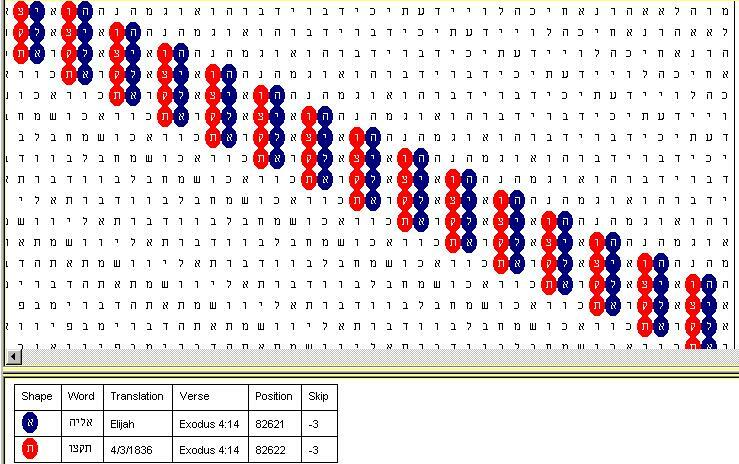 APOSTASY, REFORM AND RESTORATION BY THE BIBLE CODE. The twentieth of The last February I was watching on the Italian TV a wonderful program “Voyager”. In this program they were talking about the “Bible code”, how it was discovered, the proofs regarding this code and in the end they said that there was a software, easy to handle, able to able unlock the code. I always believed in this code, as you can see few years ago I put on my web page an article named “bible code” and as you can see there are other articles connected to this topic, so I was really intrigued by this software and in very few days I was able to buy it and receive it. Today the second of March I just started to try to find what I was looking for. I am a member of the lds church the so called Church of Jesus Christ of Latter day saints, well known as Mormons. 3 3 Behold, I would exhort you that when ye shall read these things, if it be wisdom in God that ye should read them, that ye would remember how amerciful• the Lord hath been unto the children of men, from the creation of Adam even down until the time that ye shall receive these things, and bponder• it in your chearts•. 4 4 And when ye shall receive these things, I would exhort you that ye would aask God, the Eternal Father, in the name of Christ, if these things are not btrue•; and if ye shall ask with a csincere heart, with dreal• intent, having efaith in Christ, he will fmanifest the gtruth• of it unto you, by the power of the Holy Ghost. 5 5 And by the power of the Holy Ghost ye may aknow• the btruth• of all things. Well I just had my own testimony and from that moment on I knew that the Church of Jesus Christ of latter day saints was the only true church on earth and that Joseph Smith was a prophet of God. This to say that I didn’t need any other proof. Unfortunately many “Christians” are always trying to mock us saying that everything we teach it is just a lie. 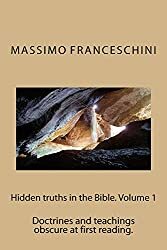 When I first heard about the Bible code I thought that maybe if I would have the opportunity to have the tools to search by myself I could prove by the same code that my beliefs were true, but since I couldn’t think to have the tools I left the matter aside until……. Now I am having this powerful tool in my hand and so my curiosity will be satisfied. Since most of the Christian believe the same and since this software is done in Jerusalem they cant’ say or think that it is a fabrication of the “Mormons”, like they use to say about all our beliefs. One of the most interesting things that I found in this software is that not all the words are found in the Bible text, so if you find the words that you are searching for you can be sure that you have found them because God wanted for you to have them. In 1994 three scientists of international reputation of the Hebrew University of Jerusalem published a paper in an important journal giving statistical proof to the believe that uncanny descriptions of worlds events, which have occurred thousands of years after the Bible was written, seem to be encoded in the Bible. These scientist discovered that names and events of the past end present were encoded in the Bible by an encryption method called ELS, equidistant Letter Sequences. In this method each of the letters that form a hidden code is separated from the next letter, or previous letter, by an equal number of letters, not taking into account the spaces between the words. The Bible states that God dictate the Torah to Moses, the Torah is the Law of Moses contained in the Pentateuch. An ancient tradition says that when God dictated the Torah to Moses, letter by letter, historic facts were encoded in the Hebrew Scriptures by a mysterious way. Like I wrote before this old tradition have found a solid scientific basis when three Israeli scientist, mathematicians (Professor Elyahu Rips, from the Hebrew University, Doron Witztum and Yoav Rosemberg) used statistical methods and computers to research the Book of Genesis, searching by “equidistant skip interval” for the encrypted names of 32 sages who lived between the 9th and 18th centuries, checking every ntn letter, where n can take any value. They published their study, Equidistant Letter Sequence in the Book of Genesis, in the scholarly journal Statistical Science, (Statistical Science 9:429-438), about what they called ELS (Equidistant Letter Sequences) in Genesis. Their computer found most of the names, with the odds against this occurring by chance calculated at 62,500 to 1. The summary of the article stated:”When the Book of Genesis is written as two-dimensional arrays, equidistant letter sequences spelling words with related meanings often appear in close proximity, with analysis showing that the (statistical) effect is significant at the level of 0.00002, (i.e. the odds are 62,500 to 1). This study gave mathematical and statistical evidence that information about personalities, events and dates can be found encoded in the Hebrew Scriptures. The researchers, for comparison purposes, did similar analysis in Hebrew translation of War and Peace, a scrambled Book of Genesis, and other texts. In none of them the results were different from what would occur simply by chance. Dr. Jeffrey Satinover in his book “Cracking the Bible Code” said about this. a) The Torah (five book of Moses) can both be treated as a sacred text in the usual way, and as an encrypted text containing some kind of coded message. b) The coded message was constructed by utilizing successive letters in the encrypted text selected at equidistant skip intervals. c) The content of the code message serves to confirm the unity and integrity of the encrypted text. d) The content appears in the form of a statistical tendency for selected words to appear in identified locations at greater frequency than it should occur by chance. e) One such tendency is for a code to appear many times in a passage of related text. f) Another very important tendency is that two or more different but related words can be found in the matrix in unusually close proximity. This can be either the “crossword effect”, i.e. the key code’vertical column is crossed horizontally or diagonally by a meaningfully related words appear in the matrix more closely togheter than unrelated words. g) If a specified code is found at several different equidistant skip intervals, the smaller intervals should be considered more meaningful than the larger ones for two reasons: one is that if the skip intervals get large, “close cluster” lose their meaning or they become more difficult to assess; the second reason is that in a large enough range of text it is possible to find a specified word many times at different intervals. A short interval would make the found occurrence be considered as worthy of note. The Bible speaks for itself about the code. Before to go ahead and show my proofs I want to comment some passages of the book “Bible Code II” written by Michael Drosnin. The writer and Rips, one of the scientists were discussing about the key of the code. Rips said “We are in God’s hands” and the writer said”But do you think we will ever be able to see the Bible code whole?” “If we ever get the Key” said Rips. The writer in this book was obsessed by the word “obelisks” that according to his opinion is connected to the “code key”. He wrote that this word in Hebrew was not in his dictionary but in a definitive Hebrew dictionary was translated as obelisks. Obelisks are monuments commemorative Egyptian and the writer was convinced that this “obelisk” should be close to the Dead Sea “underground” buried there from centuries. 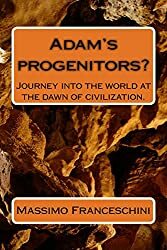 At page 76 the word Bible code was found close to “It exists in the language of man” at page 78 those words were crossed by “Two tablet of stone” and “Temple for the writing/writer” and at pag 81 it says that the code is in the original language or the adamic language. This phrase made me think for a while because there was only a group of people that I knew were able to maintain that kind of language after the Babel’s tower and these people wrote their story in a book. Another thing was that the writer was always sure to find the code in the Lisan peninsula but he wrote that the word “Lisan” in Hebrew means also “Language” and in fact in the next page the word dictionary came up with “Bible code and Lisan or “language” in reverse the same Hebrew letters stated “You will search for the dictionary, something stolen, the gift of truth” but it is better to paraphrase the author. “Then Rips saw something else extraordinary. Another verse of the Bible that dealt directly with language also crossed “Bible code” where it appears with “Lisan” or “Dictionary” just below “dictionary”. It was the famous story of the tower of Babel told in Genesis 11:7 “Come let’s go down, and there confound their language, so that they may not understand one another’s speech.” And one phrase came up saying “The dictionary, and it was opened”. “Dictionary of the obelisks” was also encoded. “Tablet vitalized the obelisk” appeared in the same place. It suggested that what I was (the writer) seeking was more than an engraved pillar, more than a dictionary in stone, but something that could be activated. Perhaps the dictionary might be like the rosetta stone, the tablet found 200 years ago, that allowed archaeologists to decipher ancient Egyptian hieroglyphics. Unfortunately the writer was convinced from Dr. Rips that Hebrew was the language of Adam, but according to the Bible all the people (but not the Jaredites) were confused in their language after Babel. Clearly the Adamic language is the language of God because They were talking in that language. If we consider that Jesus is called the “word” we need to understand that the word is the power of mankind in fact the difference between mankind and the rest of the creation is the power of speech. In Hebrew “the language gene” also spells “Garden of Lisan” or in other words” Garden of dictionary”. Paul defined the Law or "Torah" to a teacher to guide us to Christ. I believe it is true in every sense, it was true for the Hebrews, and if they had search by the Spirit more than by the letter they should have welcomed Jesus as the Christ and it is true even for today. As I did previously with the Symbolism and the other things connected so I will use the Bible code to show how it was the truth church in the very beginning, how the apostasy came, the reform and the prophesied restoration. Clearly Michael Drosnin , the writer of the book "Bible code", is more interested in the future than in the past, this is because he wrote he think he can "avoid" the terrible future foresee in the Bible, clearly he is not a believer, as a believer I know that what is written in prophecy will come out some day. I have more interest in the past because I cannot change the written future ( I mean the prophecies of the Lord) while the past is well known in many details and therefore easier to track it down by the Bible code. My first task was to prove that Jesus was and he is the Christ the Messiah foretold because the Jews still now they do not believe in Him. 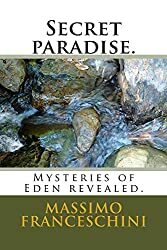 Being a lover of the truth I have addressed my search in this field, hoping to find the proofs of the true church and the proof of the apostasy. do you remember what happened in Kirtalnd that special day?